This series of novels is an affectionate pastiche of 1930s locked room mystery novels, with Inspector Wilkins repeatedly having to investigate murders at the home of the unlucky Earl of Burford. All three novels have references to detective fiction of that era, which treat the characters mentioned as real people. 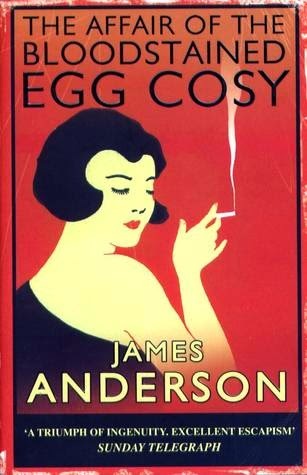 In The Affair of the Bloodstained Egg Cosy (published in 1975), Agatha Christie's Hercule Poirot is referred to by Wilkins. 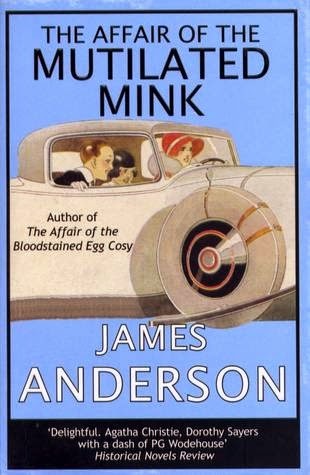 The Affair of the Mutilated Mink (1983) has several references: Dorothy L. Sayers' Lord Peter Wimsey; Michael Innes' Sir John Appleby (along with Richard Eliot's book The Spider Bites Back from the Appleby novel Stop Press); Ngaio Marsh's Inspector Roderick Alleyn; Agatha Christie's Ariadne Oliver (from the Hercule Poirot books, as well as the non-series novel The Pale Horse) and her book Death of a Debutante (mentioned in Mrs. McGinty's Dead); and The Screaming Bone by Annette de la Tour, the pen name of Mr. Judd in Edmund Crispin's Gervase Fen novel Buried for Pleasure. 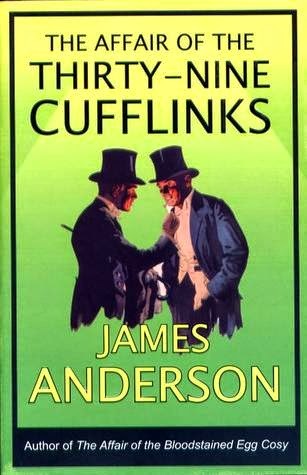 The third and final Wilkins novel, The Case of the 39 Cufflinks, refers to Lord Peter Wimsey once again, along with his manservant Bunter. I'm a very big fan of the Gervase Fen novels- I rate "The Moving Toyshop" as one of the best detective novels of the era. Do the books themselves have any crossovers in them?